The quarrel over Jerusalem began in biblical times. Abraham sends away Hagar with Ishmael; Isaac, not Ishmael, becomes the inheritor of Abraham. Isaac gives the first born blessing to Jacob. Jacob, not Esau, becomes the inheritor of Isaac. The descendants of Esau became the pagans whose geographical center was Rome. After being converted, some forcibly, they constituted the base of the Christian world. 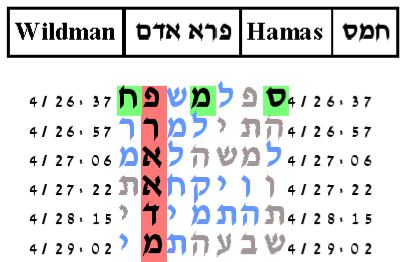 The descendants of Ishmael became the pagans whose geographical center was Arabia. After being converted, some forcibly, they constituted the base of the Moslem world. From the time the Romans destroyed the second temple through 1948, the year of the establishment of the state of Israel, the Jews experienced the exile of Esau. From the time of the establishment of the country of Israel through today, the Jews are experiencing the exile of Ishmael. The Arabs have taken actions whose main purpose is to destroy Israel. Each action taken by the different surrounding Arab nations have been in some miraculous way defeated. From the time of the 1948 war of Independence, through the 1967 war with Egypt, through the 1973 war with Syria, through the scud missile attacks from Iraq in early 1990, and through the numerous failed terrorist homocide, suicide attacks of the Palestinians in the last decade, God has made open miracles saving many Jewish lives. Unfortunately, there were some who were not saved and died in terror attacks. For them we mourn. Why is this all happening? Abraham went down to Egypt to redeem the sparks hidden in the impurity of Egypt. Impurity is Klippah, the husk or shell that hides Godliness. Abraham returned with Hagar. And by Hagar he had Ishmael. So Ishmael contains some of the klippah of Egypt. And by Sarah he had Isaac. Isaac married Rivka. 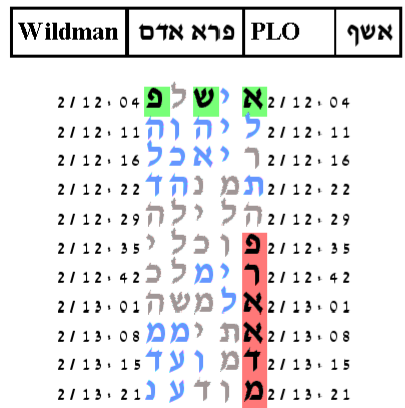 Rivka was the daughter of Bethuel the Aramean from Paddan Aram, sister of Laban, the idolotrous heathen. By Rivka Isaac had Esau and Jacob. Through Rivka, the klippah of the Aramean resided in Esau. The klippah of Ishmael is unrestrained passion and desire. The klippah of Esau is arrogance, being better than everybody else. There are two dimensions to these impurities: one internal and one external. The external impurities manifest in Ishmael and Esau and are a reflection of the internal impurities. Externally, they are directed against Israel. The internal impurities manifest in the Israelites; they are carried by the Jews. They manifest in thought speech and action which is not in accordance with Torah. They manifest when there are some Jews who turn away from Torah, and act as if God does not exist. When they manifest, God acts through his agents. God is saying, you want to experience the world I made and you want the experience without Torah and without me. Then have that experience. It is necessarily an experience with no completeness and no peace. I give you the exile of Esau and I give you the exile of Ishmael. What they will do to you will break your stiff-neckedness. Finally, you will turn and recognize me. Finally, you will do Teshuvah. Finally, you will choose to be what I always meant for you to be. You will be Torah true Jews. And you will be the spiritual lights unto the nations of the world. Daniel prophesizes about this time. Then there will come upon Israel a time of distress the likes of which they will never have experienced until that time. The small horn which represents the kingdom of Ishmael will cause them great distress. At the End of Days, Israel is destined to experience the Ishamelite exile. This fifth and last exile will be the most difficult of all. It is the exile of Ishmael, who is called [by the Torah] a wild man. The principal character trait of a wildman is passion and lust. To whatever the wildman does, there is a hot-headed emotional passion and lust. It is natural therefore to check the key word Wildman with the key word Lust and the key word Ishmael with the key word Lust. The first pairing is not statistically significant. For the second pairing we obtain a statistically significant result. 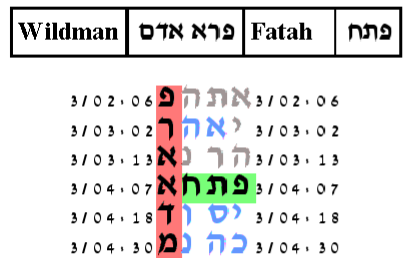 With the expected number of ELSs set to 40, the probability that a text from the ELS random placement text population would produce a table a small as that produced by the Torah text is 81.5/10,000. Rabbi Mandelbaum writes about the wild man. Onkelos understand this statement to mean that Ishmael will rebel against all mankind. Ibn Ezra adds that Ishmael will be unrestrained among people. The Ramban says that these verses relate to Ishmael's offspring wreaking havoc on everyone, and vica versa. "His descendants will wage war against all the nations," he concludes. He is a wild man, at home in the wilderness. At the break of dawn, he goes out to his chosen work: aggression. He attacks everything and all attack him. This is manifest in his descendants, who are at war with all the nations. Other nations have always ruled over each other, but not Ishmael, who have always been desert nomads who have no regular contact with others. They are like robbers who go out to rob others and then return to their tents, as it says, "he will be a wild man". Targum Onkelos on this verse conveys the same idea. It translates "a wild man" as "one who kills people". Within the community of Ishmael, there are a number of organizations qualifying as wildman: killers of people. A survey of the newspaper stories over the last few years tells who they are. They are the PLO, Hamas, and Fatah, all of whom have played roles in terror attacks in Israel. The PLO was founded in 1964 as a Palestinian nationalist umbrella organization dedicated to the establishment of an independent Palestinian state. After the 1967 Arab-Israeli war, control devolved to the leadership of the various fedayeen militia groups, the most dominant of which was Yasser Arafat's Al-Fatah. US policy accepts that elements of the PLO have advocated, carried out, or accepted responsibility for acts of terrorism. Hamas is a radical Islamic fundamentalist organization which became active in the early stages of the intifada, operating primarily in the Gaza District but also in Judea and Samaria. Formed in late 1987 as an outgrowth of the Palestinian branch of the Muslim Brotherhood. Various Hamas elements have used both political and violent means, including terrorism, to pursue the goal of establishing an Islamic Palestinian state that would replace Israel. Hamas has conducted many terror attacks, including large-scale suicide bombings, against Israeli civilian and military targets. Fatah joined the PLO in 1968 and won the leadership role in 1969. The Fatah maintains several military and intelligence wings that have carried out terrorist attacks, including Force 17, the Hawari Special Operations Group, Tanzim and the Al Aqsa Marytrs Brigade. It has carried out numerous acts of international terrorism in Western Europe and the Middle East in the 1970s. Im the last few years there is direct evidence that it has been responsible for terrorist attacks against Israeli and foreign civilians in Israel. We therefore pair the key word Wildman, with each of PLO, Hamas, and Fatah. 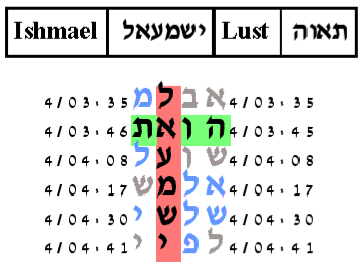 Setting the expected number of ELSs to 10 and using our standard protocol, the probability that a text from the ELS random placement text population would have as compact a combined result as the Torah text is 267/10,000. The expected number of ELSs is set to 10. The cylinder size is 810 columns. The probability that a text from the ELS random placement text population would produce as small a table as this is 438/10,000. The expected number of ELSs is set to 10. The cylinder size is 608 columns. The probability that a text from the ELS random placement text population would produce as small a table as this is 603/10,000. The expected number of ELSs is set to 10. The cylinder size is 381 columns. The probability that a text from the ELS random placement text population would produce as small a table as this is 3770.5/10,000.